As a teacher I see lots of different families. In our society today, we are a lot more accepting of the different kinds of families, such as same sexed couples, adoption of children from different nationalities etc. 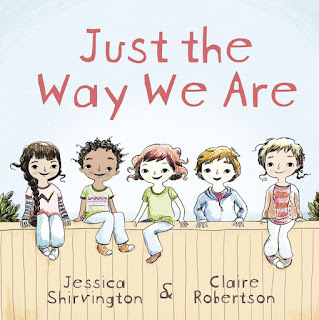 'Just the way we are' is about different families and how each one is special and perfect to that particular family. I think sometimes we perceive that children are "ok", but in actual fact, it is really hard for them to express themselves. Reading about situations that are familiar to them, immensely helps to bring clarity and acceptance. Think about how values are taught. If we wanted to teach children about sharing, we'd find a book about sharing. It is very rare to find one that will help with children's social and emotional needs. I think Just the way we are, is a very cool way of showing to many children that everyone not only looks different, but their families can be very different too. If you also want to teach and expose your children to diversity, then this is great beginning. 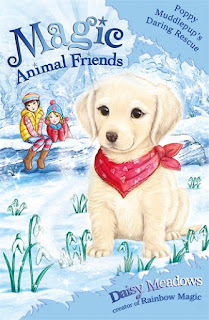 Magic Animal Friends by Daisy Meadows is a series of books that has a variety of different animals that star as the main character. I think it is always hard for us adults to judge what is a good kids book especially when it is for audiences so young. What may seem obvious and droll to us, is scary and exciting to them - so I got a 6 Year old to review it for me! This book was about a wicked witch who put a spell on a dog named Patch. Patch fell into a deep sleep and two girls named Jess and Lily didn't know the cure for Patch. Jess and Lily had to look for ingredients before sunset. The first ingredient was a hummingbird's feather. I enjoyed the story because there was magic in it and cute animals. It was a bit frightening in the middle. If you don't like magic this book is not for you. Young children are very subjective and it is very hard to get them to see other people's perspective, heck, it can be hard for some of us adults too! Henry's Stars is one of two books in which he stars (pun!) in. Henry's Map is the first. 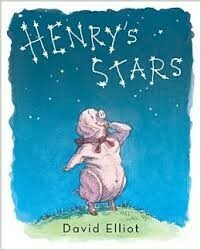 Henry is a pig and one night he stares into the night sky and spots a constellation that looks like a pig. Excitedly he runs to his friends and tells them all about his 'Great Pig' in the sky. However, his friends don't agree and tell him they see something more akin to themselves. This book could be a great way to help introduce children about constellations and how the Greeks chose to name the constellations we observe today. It can also be a great way to get children talking about why the different animals saw what they saw. Henry's Stars has a funny ending as well and can lead to a lot more conversation afterwards!